Poster and trailer for movie “Konomichi” starring Nao Omori and Akira (EXILE). The film is based on an original screenplay by Riko Sakaguchi and directed by Kiyoshi Sasabe. The film follows two men (who were real people) who are tasked to write children’s songs. They are then ordered to write a song to help get children onto the battlefield during the war. 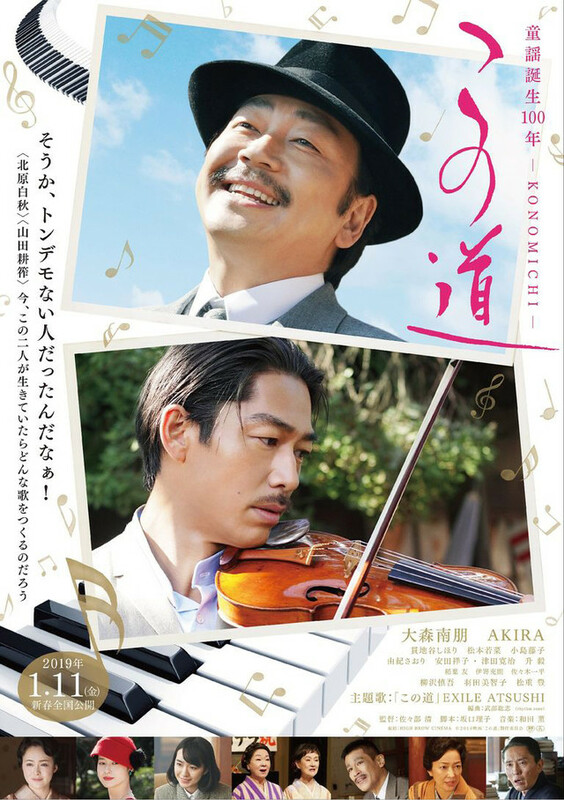 “Konomichi” will be released January 11, 2019 in Japan.